PM Boyko Borissov ordered the relevant ministers to remove administrative officials and experts, named in a Bivol investigative reporting about a massive EU funds corruption scheme to drain EU funds. At the center of the scheme is the extremely well connected in terms of high-end government procurement company, GP Group. 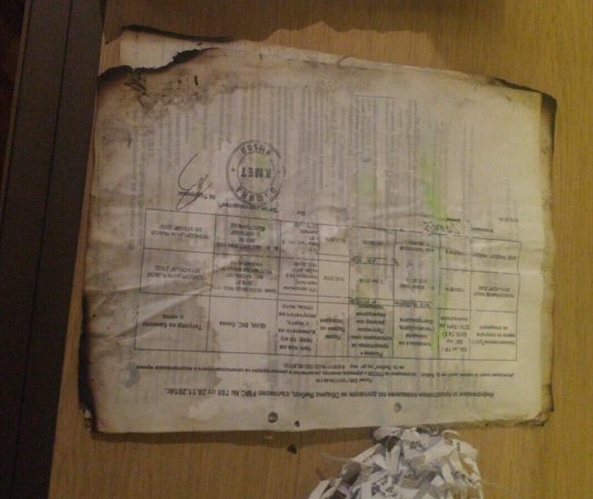 Last week the story made international headlines as two reporters – Dimitar Stoyanov of Bivol and Attila Biro of RISE Project, Romania – were detained by the police while investigating the story and ending up filming the burning of documents in a field in Radomir. According to their reporting, the documents were related to what Bivol describes as a complicated corruption scheme to drain EU funds, which reaches far high in the administration’s hierarchy. The two informed the police, who ended up detaining the journalists. Earlier this week, as authorities began investigating the claims, amid a growing public and media focus on the case. The news site Bivol reacted quickly and started a petition for the investigation of GP Group and the fraud scheme to be carried out by the European Commission. In addition, Bivol proposes for all pending and future installments to be held off until the investigation is over. Over 4500 people have signed the petition by September 21. Instead - as per the PM’s orders – it seems the government employees will be either suspended or temporarily remove while the investigation is underway. The relevant Bulgarian authorities have begun investigating the signals for grand corruption but Bivol doubts any Bulgarian institution could conduct such a probe independently, as it is uncertain how far the scheme reaches in terms of corrupted officials but Bivol’s reporting suggests it goes as far as deputy minister and mayor-level. This is why Bivol has called on the European institutions to take over the investigation. About 200 people protested in front of the Palace of Justice in Sofia in support of the journalists on Monday. “What happened to the two journalists was the last straw that broke the camel’s back of our discontent with PM Boyko Borissov’s government.”, one of the organizers of the protest, Vlado Rumenov told bTV. He said the country is run by the PM alone and that is why the lack of press freedom in Bulgaria is his fault. “All media must stand in solidarity with any action against a fellow journalist, regardless who’s fighting with who among them because this is police abuse of power”, journalist Ivan Bakalov commented. “We not only condemn violence against reporters, but we also plead for those who impose it to be punished”, Snezhina Todorova of the Bulgarian Journalists’ Union said. Meanwhile, the Commission for Protection of Competition allowed GP Group and the Road Infrastructure Agency to go ahead with engineering and constructing the tunnel Zheleznitsa on the Struma highway. The competitor company for the procurement, the Greek Aktor, which was disqualified in the technical phase for not meeting the requirement, which the company disputed and took to the commission. The road agency rejects the claim that the Greek company was disqualified unfairly and asked the commission to allow them to go ahead with the implementation of the procurement with the winner, a consortium of companies, one of which is GP Group. The commission has allowed this but has warned the road agency that if the commission rules in favor of Aktor, then the road agency will have to pay a fine 10% of the cost of the procurement. After three long weeks of putting off the procedure on formalities and administrative technicalities, Parliament finally approved the three new minister cabinet nominations. Rossen Zhelyazkov is the new minister of transport, replacing Ivaylo Moskovski; Nikolay Nankov, who headed the Regional Ministry will be replaced by Petya Avramova; and Mladen Marinov will be the new minister of interior in Valentin Radev’s place. Mladen Marinov was chief secretary of the Ministry of Interior and his nomination was one reason the voting got postponed. 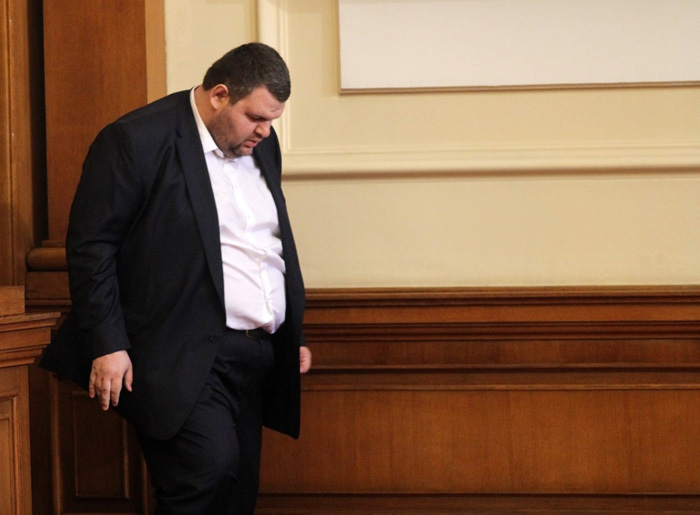 In order to be voted minister, Marinov first had to be relieved of his duty as chief secretary. The president must sign off on the release to finalize the process which President Roumen Radev failed to do for some time. Law experts are not uniform whether or not the law requires for the vote to wait for the president’s signature of the Ministry of Interior’s chief secretary. In any case, though Parliament voted on the new ministers a week late. PM Boyko Borissov himself characterized the step as a minor formality, it grew to a feud between the PM and the president, and the procedure got stuck. The vote and swearing in of the new three marked the end of a three-week drama of cabinet seat changes, which started with a deadly bus crash near the city of Svoge, which claimed the lives of 17. About a week after the crash the three ministers resigned at the request of PM Boyko Borissov. There was much speculation that all three or some of the resignations might not pass the necessary vote in Parliament to make them official. This was especially true in the case of Nikolay Nenkov. This did not happen but the new Regional Minister announced just after she was sworn in, that she hopes for Nankov to become part her team and that – should he accept – “will be one of the pillars in the ministry”. President Roumen Radev stalled signing Mladenov’s release and expressed publicly his doubts regarding the nomination though not in very definite terms. “Amid all the problems and failures at the Ministry of Interior, it’s the PM’s prerogative to decide who would be the best choice for a minister. He will bear the responsibility for it”, he said. PM Boyko Borissov also took a rhetorical swing at the president. “We could have easily blocked President Roumen Radev’s appointment, but we instead allowed him to be president”. Borissov referred to a similar procedure for Radev’s appointment as president, which had to be preceded by his release from the air force. After finally signing off on Marinov’s release from the post of chief secretary – needed or not to vote him in as the new minister – President Radev was more firm in his expression, calling Marinov’s appointment paradoxical. “It’s just a paradox. The PM removes the Minister of Interior because of the ministry doing “a sloppy job” but by law, the chief secretary is the one coordinating, managing and planning the “sloppy job”, who is now being appointed as minister”, Radev said. 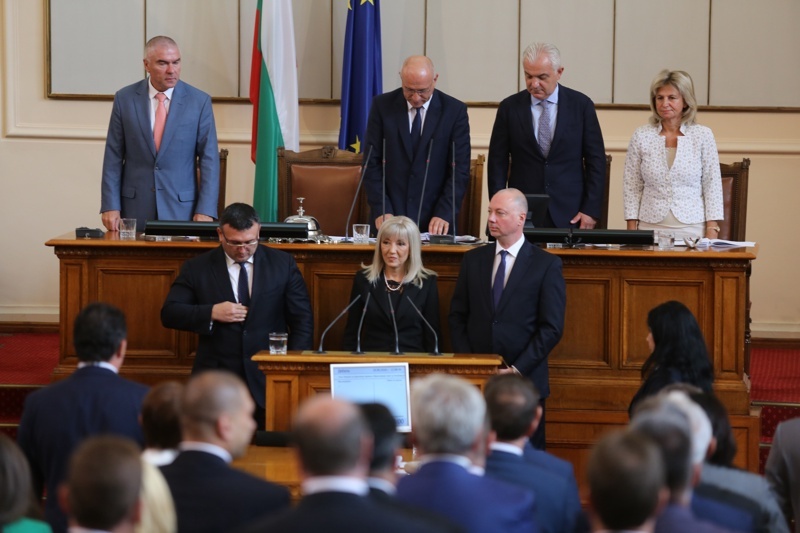 The non-parliamentary opposition coalition Yes, Bulgaria also called for the nomination to be pulled altogether earlier this week. They issued a statement in which they argue that it is questionable for a minister to resign due to failures in the ministry and then for the cabinet to promote the person in the second most important position from that ministry to become the minister. The vice chair of the largest opposition Bulgarian Socialist Party, Dragomir Stoynev, took the floor and said that “the names of the new ministers are irrelevant, they will follow the same policies and will be subject to the same will [as the previous ones]” and went on to stress that the problem is not any one minister but the cabinet as a whole and especially the PM. “The only way out is the cabinet’s resignation and a change in the model of governance, restoring the well-being of the state, then of the economy and social system”, Stoynev said. The Movement for Rights and Freedoms (DPS) also expressed their conviction that an early election is inevitable. Bulgaria will support Hungary’s government officially, Bulgarian Vice PM Krasimir Karakachanov announced. 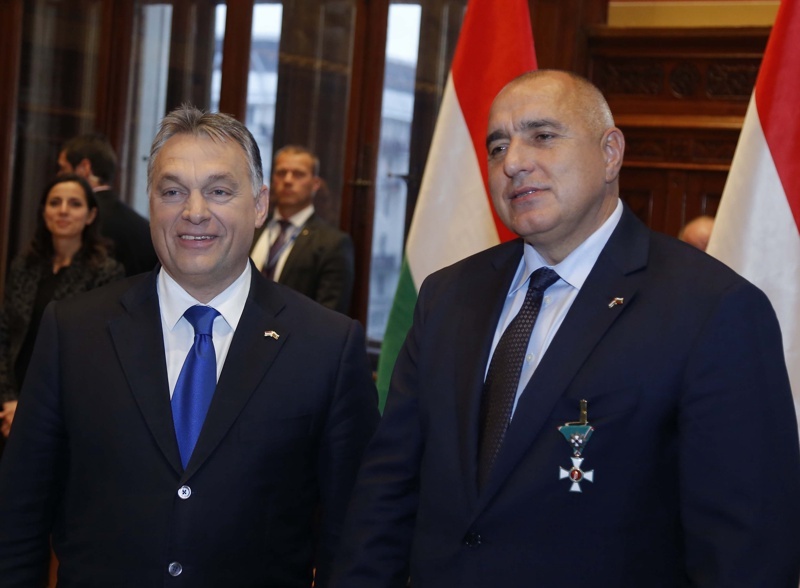 According to him, cabinet will issue an official position to the Council of the EU, expressing Bulgaria’s disagreement with the EU’s decision to trigger Article 7 against Hungary. After the EU decided to start the procedure for violations of human rights, press freedom, interference with the justice system, etc., Bulgarian right-wingers quickly moved to voice their support for Orban’s government. GERB’s coalition partner, the United Patriots, of which Karakachanov is a member, plead to PM Boyko Borissov to transform this into an official position. The GERB MPs at the European Parliament also voted against the motion when the EP passed the motion. “European MPs shouldn’t draft proposals and impose sanctions on nations on issues, which relate to the national security of said country. I disagree with the EU becoming the USSR, who punished countries, who wish to solve their national problems according to their own beliefs, culture, even their religion”, he said. Another member of the United Patriots and also vice PM, Valeri Simeonov views EU’s actions against Hungary as a “repressive operation, not based on arguments”. He said that the cabinet’s proposal is not only motivated by the close ties between Bulgaria and Hungary but also by the “lack of serious legal or any other kind of basis” for the decision to impose sanctions. “We are in the process of enforcing sanctions against a country that a group of liberal politicians like to accuse of being authoritarian. 70% of Hungarians voted for Orban. Investments in Hungary are the highest in Europe. This shows how untrue these accusations are”, he commented, although it was left unclear how economic policy correlates directly to the degree of authoritarianism of any given leadership. The so-called Peevski Media Bill will likely pass its final vote in Parliament and will be enacted into law. The bill received heavy criticism initially, especially by media organizations. However, lawmakers have amended the more problematic points between the first and second parliamentary reading. The bill obligates media outlets to declare their real owners, their financing and whether the entity that controls the content and the editorial policy is the same as the actual owner. In its earlier drafts, the bill did not provide for the media outlets to declare financing through bank loans. This was one of the central points of debate and criticism, especially as most of Delyan Peevski’s media empire was substantially backed by the now bankrupt Central Commercial Bank (KTB). The authors of the bill, Movement for Rights and Freedoms (DPS) MPs Delyan Peevski, Yordan Tsonev, Velislava Krasteva, and Hamid Hamid have since made amendments to resolve these critical points. The Association of European Journalist declared that it approves the bill on principle as an effort to increase transparency of media ownership in the country. “We were concerned initially that the bill is a dedicated effort to challenge the claim that Delyan Peevski controls the media market in the country but the good news is that between the first and second reading a large number of the issues original proposal have been corrected”. 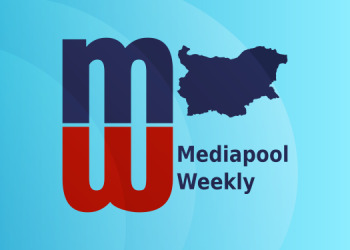 Zarkov told Mediapool that the bill still doesn’t deal with the problem of shedding light on what money came from where to back the acquirement of whole media empires, including those financed by KTB. In case a media submits a declaration or provides false information in it, it will be fined a minimum of 10’000 leva. However, the authors of the bill admitted that there is no way to control whether the information in the declaration is false, especially with regards to whether or not the editorial content is controlled by the actual owner or not, as this would entail carrying out specific in-depth content analysis, which none of the institutions relevant to the bill can do. Energy Minister Temenuzhka Petkova sees nothing irregular in Movement for Rights and Freedoms' (DPS) honorary leader, Ahmed Dogan buying TPP Varna for 3500 leva. Dogan bought 70% of the company Sigda, which owns TPP Varna. Petkova characterized as pure speculation claims that the government helped in Dogan’s plan for TPP Varna to be included in the so-called ‘cold reserve’. Plants, which provide the cold reserve receive subsidies by the state, which in this case instantly increases the value and liquidity of TPP Varna. The state-owned TPP Maritsa Iztok 2 refused to renew its contract for providing part of the cold reserve several months back. The reason they gave is “inability to fulfill the commitments in the contract”. This opened a slot for another plant to fill in the lacking capacity, and TPP Varna stepped in. “I do not know Dogan as an expert in the energy industry. Every Bulgarian citizen has the right to pursue goals and develop in the way they wish.”, Petkova told bTV. Her assertion is almost word for word what DPS leader Mustafa Karadaya said last week when asked about the same deal. She also evaded the question of whether it is appropriate for a politician to acquire such a huge energy asset and in such a way. Instead, she went on to explain that for her as minister the priority is to keep the energy sector stable. NPP Belene continues to add to the billions of public funds, already down the drain because of NPP Belene. 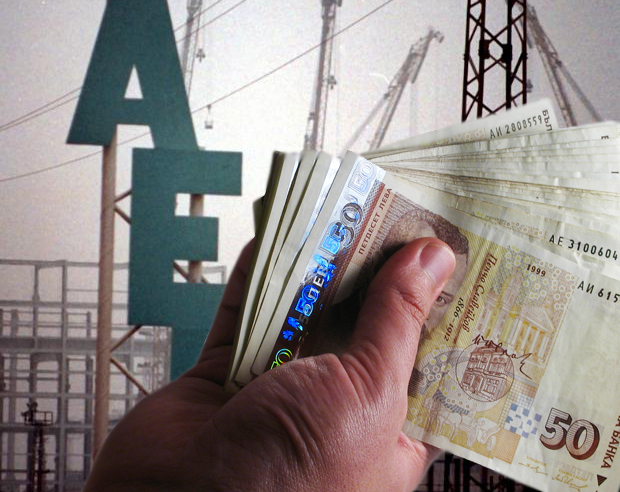 This time the arbitrary ruled the National Electric Company pay 32 million to euro to the consulting company WorleyParsons, which is the engineering consultant for the NPP Belene project; with interest, the amount goes up to nearly 40 million euro, Capital Weekly reported. Although NEC had terminated the contract a year after the NPP Belene was discontinued, the company claimed the way it was terminated was wrongful. By the time NEC had already paid WorleyParsons a total of 178 million euro, 8,6 of which – after NPP Belene was stopped. The arbitrary tribunal has ruled against all of NEC’s defenses. The attorney fees alone have cost NEC 2.4 million euro, which is twice as much as WorleyParsons spent on theirs, according to Capital Weekly’s reporting. This is the second time NEC loses an arbitrary case regarding Belene. Last time the international arbitrary court ruled for NEC to pay Russian Atomstroyeksport over 550 million euro for manufactured nuclear equipment last year. Back then the state budget lent the amount to NEC with no interest under the condition it will return it by the end of 2023 in a single installment. The former mayor and deputy mayor of the Sofia district of Mladost, Desislava Ivancheva, and Bilyana Petrova gave their first TV interview to bTV. The two were arrested in an over-the-top spectacle of an operation back in April on charges of corruption. During her arrest Ivancheva stood handcuffed in the middle of a busy intersection in the city center for nearly 7 hours, surrounded by a number of officials and special police forces. Later during court hearings, the defendants stood inside a glass cube, a measure taken only in cases where the accused pose a significant security risk. 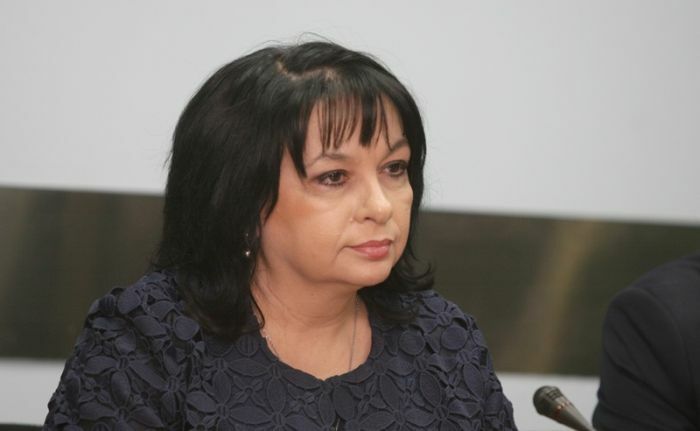 Investigators claim to have caught her with a bribe but she and Petrova maintain innocence and that they were set up by powerful figures, specifically shady real estate developers, whose plans are to build in Mladost, which Ivancheva’s administration has been blocking. The two gave an interview in which they describe the horrific conditions they live in while incarcerated. They said they are forced to stay inside their cell for 23 hours a day where the only lighting comes from emergency lamps. They do not have access to hot water, the ceilings have leakages throughout the building. Petrova said they were not only psychologically abused but also physically but is still afraid to name by who as they still occupy the same space. Regardless, the two say they will not strike a deal under any circumstances and are determined to prove their innocence. “Sooner or later everything will be out in the open and we will sue those who are now suing us”, Ivancheva said. Just following the arrest, the two pledged to sue Bulgaria in the European Court of Human Rights.